Enter a strange room, any room you’ve never entered before. It feels empty somehow, no matter how big or small this room is, no matter how many people fill it. It’s maybe full of people: and yet still you feel lost in this room, in a space that seems dead and inert, despite its evident life. You feel there’s something missing, an absence, that there’s distance between people, between people and this space. By contrast, you instinctively know when a space feels alive, feels full, when the distance between people in space is overcome, bridged—socially as well as spatially. You sense instead a presence, a vitality, a fullness of something, a oneness between you and others in space. But a fullness of what? As a geographer, as somebody interested in the sociality and politics of space, in relationships between space and being, this has always struck me as intriguing, both theoretically and politically. What fills a space? What makes it dead? What makes it feel alive, throb? Why is it that a packed shopping mall feels dead compared to the intimacy of a semi-deserted back street? What makes space a palpitating place, as Lefebvre (1991) might have said? What makes a space hot? Is it something to do with the relationships between people? Or is it something to do with the way people coexist with one another within the specific space they create themselves? The precise mix of factors is a complex phenomenological and existential affair for practitioners of any spatial discipline. Part of the difficulty here is that the theme doesn’t easily lend itself to straightforward analytical explanation because what happens is as much corporeal and sensual as it is rational and conceptual. I remember one afternoon when I lived in London going to the Barbican Theatre to see a cheap matinee performance of Shakespeare’s satirical rendering of doomed Trojan love, Troilus and Cressida. The play had had rave reviews and was performed by an impressive cast. I remember sitting there in a comfortable seat, near the front of a large auditorium almost bereft of audience (only a handful of spectators were present). What was so curious was how bored, how totally cut off from the stage and cast I felt, from all the action (and there was plenty of stomping about and heartache and dramatic explosions). Was it a scale thing? Was the emptiness inside me or due to a lack of people, a lack of audience? Was the deadness and heaviness I felt upon exiting because of an over-large space absent of life? Or was it something to do with the competence of the performers? I actually went back to see Troilus and Cressida several weeks later, purposely on a Saturday night; there wasn’t an empty seat in the house. Yet I came away feeling the exact same thing, exact same awful sense of separation, of inertia despite the fluid comings and goings on stage; I felt a social and spatial distance within me, even while there was intense human proximity all around me. Instead of leaving in a thrilled state because of the passion and rage and love I’d just witnessed, instead of thinking about my own relationships with people and about my own life (as the best plays make you think), I was again overcome with a deadness, with a depression that had nothing to do with the quality of the cast nor with the execution of the play. It has something to do with living and performing in space, with the spatiality of absence and presence, with the construction of an environment rather than an invironment. From time to time this sense of spatial absence hits any performer in public, any teacher and lecturer (perhaps the cast of Troilus and Cressida felt it at the Barbican? ): there are moments we all recognize, moments when you enter a lecture hall somewhere, a classroom or a teaching space of some kind, full or empty of students/audience; and yet despite the numbers (or lack of them) everything feels lifeless and passive; you’re immediately struck by a distance which may persist during your lecture, even while you’re doing well, doing a good job of talking. Somehow, somewhere, communication in space is breaking down. Often changing the room configuration helps, shifting around the arrangement of chairs (if they’re movable), altering the spatial relationship between speaker and audience, between subject and objects, perhaps moving closer to the faces in the crowd, embracing them somehow, sitting amongst them, entering them, doing away with speaker podiums and desks to cower behind. All that may de facto collapse barriers of separation. Discrete little changes in the social geography of the room can palpably change the phenomenological sensation of what lives and what’s dead in space, of what’s inspiring and what crushes the spirit. In this essay, I want to explore more closely absence and presence in and of space; I want to examine the relationships we have with the spaces we inhabit, the spaces that give us life—and which might give us life—and those that leave us lost, overwhelmed, and deadened. I want to explore this problematic via theatre, specifically via so-called Poor Theatre and paratheatre, as developed by Polish director Jerzy Grotowski (1933-1999). I want to tease out the theoretical and practical reality of Grotowski’s paratheatre, its practical practicality, if you will, showing how it can be made to matter in real social and spatial life. These ideas resonate within political life, too, and can help radical geographers “occupy” the links between social space and political space, between stage and street, between an individual desire for creative spontaneity and the collective necessity for disciplined action. When released in that heady year of 1968, Grotowski’s book Towards a Poor Theatre immediately assumed Biblical authority for avant-garde theatrical practitioners, for actors as well as directors, for stage designers as well as radical playwrights. All his life Grotowski never ceased asking one fundamental question: “What is theatre?” Over the years, with beautiful simplicity and restless curiosity, he chiseled down and honed his answer, insisting there are really only two essential elements: the actor and the audience. “Everything else”, he reckons, “is supplementary” (Grotowski 1968: 19). At first blush, this concept might seem almost a-spatial, a total disregard for context, for space itself, for the staging of any drama, a sort of spatial repression in which every extraneous physical property has been stripped off, and only bare and stark human life prevail. In a sense, this is true, but, as we’ll see in a moment, there’s another way we can interpret this thesis. “Rich Theatre”, Grotowski says (1968: 19), “depends on artistic kleptomania, drawing from other disciplines, constructing hybrid-spectacles, conglomerates without backbone or integrity”. In Rich Theatre, the sort usually performed at London’s Barbican, one is dazzled by grandiose sets and décor, by star actors, by high-tech lighting, by flashing colors and ornate costumes and heavy make up, by lightening quick changes of scenery, all of which is image-driven, says Grotowski, all of which frequently fosters audience passivity rather than empathy. Worse, this is theatre masquerading as cinema, or theatre’s sad attempt to compete with cinema and television. Rich Theatre, according to Grotowski, expresses theatre’s identity crisis, its retreat in the light of the dominance of movies and TV; it’s theatre’s desperate lunge to escape the impasse. It’s clear that no matter how much theatre expands, how much it exploits its mechanical resources, it will always remain technologically inferior to film and television. So why bother competing? Why not draw on other low-tech resources? “If the theatre cannot be richer than cinema”, Grotowski says (1968: 41), “then let it be poor. If it cannot be as lavish as television, let it be ascetic. If it cannot be a technical attraction, let it renounce all outward technique”. Hence, let it be Poor Theatre, a theatre that does without lights, music, scenery; a theatre that could even do without theatre. Powerfully, and perhaps correctly, Grotowski believes “there is only one element of which film and television cannot rob the theatre: the closeness of the living organism. It is therefore necessary to abolish the distance between actor and audience by eliminating the stage, removing all frontiers. Let the most drastic scenes happen face to face with the spectators so that they are within arm’s reach of the actor, can feel his/her breathing and smell the perspiration” (Grotowski 1968: 41). Henceforth, an infinite variation of performance-audience relationships is possible, a new “staging space” can be designed for each production, dynamically dependent not only on the actors, but on the audience as well, a new space designed for actors and spectators, wherein old classics and new plays can be performed in radically innovative ways; an integrated performance space can emerge in which the psychic distance (and resistance) between actor and audience is eliminated, or at least partly transcended. Now, actors can effectively play amongst spectators, directly contacting, touching the audience, almost giving the latter a supporting role. From now on space itself assumes dramatic proportions, dramatic credibility, because the efficacy of this relationship between actors and the audience hinges utterly on an “architecture of action” (Grotowski 1968: 20): structures can be built amongst spectators, new spatial configurations can draw each party together, forcing audiences to react as they willy-nilly interact. In his staging of the 1904 Polish classic Akropolis, Grotowski radically modified the existing script and context, placing it within an atmosphere of a Nazi concentration camp: actors act amongst the audience while ignoring the audience, looking straight through them. Spectators are unnerved, quite literally feel the sense of stifling pressure, the claustrophobic congestion, the limitation of space; a discomforting proximity to torture and death is almost smelled; audience passivity turns into its culpability. The elimination of the stage-auditorium dichotomy isn’t, however, the most important thing in Poor Theatre. “The essential concern”, Grotowski says (1968: 20), “is finding the proper spectator-actor relationship for each type of performance and embodying that decision in physical arrangements”. Otherwise put, the essential thing is humanly constructing a space (“a physical arrangement”) in which sensual and experiential communication can be most effectively transmitted. Physicality morphs into sociality; what is conceived only functions insofar as it infiltrates the lived, as it straddles the subject-object divide: a little recipe for fostering social life itself. Not unsurprisingly, Grotowski’s productions were rarely preformed for a mass audiences of theatergoers: they invariably limited themselves to up to 100 or so spectators each time, conducted in small theatre spaces in which plays get distilled into one fever-pitched hour. Incredible demands were placed on actors and audiences alike. Actors underwent fiercely disciplined training; rehearsals lasted for months and months on end, sometimes years, and actors learned how to use their bodies in strange and demanding ways, contorting them, not only occupying a space but frequently becoming space, becoming the props and the stage; voices were adapted to create disturbing sounds or else were used as music in the face of an elimination of music. Audiences, too, like the actors, were compelled to overcome themselves, to transcend their limitations, to enter into an emotional and metaphysical dialogue with the actors. The Grotowski method is a kind of confession: one unveils oneself, discovers oneself, humanly; actors and audience as one, who mutually enter into a state of “warm openness” (Grotowski 1968: 47). Theatre is all around us, is an act of life. Subjects and objects, performers and audiences are writ large in everyday life and, frequently, we to and fro between both roles. Being mutually aware of how we are simultaneously participants and spectators in our collective destiny has obvious political ramifications. Guy Debord (1970) said that the more we contemplate life the less with live it; the more we stay passive objects in our culture and society, the less we can actively participate in the production of our own life. Then, things will be done to us rather than by us, and our own ability to realize ourselves, to self-affirm ourselves, will be significantly stunted and stultified. Other people, people who reign over us, those who perform for us, without little dialogue, will draft the script of our life. While he may have exaggerated the relative subordination of the spectator and over-estimated the quest for “non-separated” action (cf. Rancière 2009), Debord, like Grotowski, is at least forcing us to react (if not act) to pain, torture and injustice, to grief and death, to hypocrisy. Both men are somehow opposed to playing roles for other people and to all forms of accepted social custom. If, as each perhaps privately acknowledged, the distance between spectator and actor can never be entirely done away with, maybe the promise of the theatre is that it can provide the spatial relations for “a meeting”, for a critical dialogue, for an encounter and confrontation. After all, it’s somehow in between, in the relationships between actors and spectators that a collective political program might be developed, gets waged. Radical politics will only ever find its place in the entr’acte, between the acts, within the space of the meanwhile, within the dialectical mediation of subjects and objects, within the all-too-real and the imagined unreal. So, too, will Left politics always be “poor”: we, as participants, can only ever be reliant on the performative possibilities of our bodies and minds. The relationship between performers and spectators also bespeaks much about the links between Lefebvre’s conceived and lived space, between the active creation of your own space and passive consumption of the space you find yourself in. One of the best reenactments of Grotowskian Poor Theatre, vividly probing the links between thinking and creating—between creating and living in dream space, and realizing it—is André Gregory’s now-legendary production of Alice in Wonderland (1970). Disciple and close friend of Grotowski, Gregory’s labor of love “Manhattan Project” brought a little of Polish Laboratory Theatre verve to New York’s shoestring avant-garde theatrical scene. Reworking Lewis Carroll’s classic kids’ story as distinctively adult post-’68 agitprop, actors and audience alike took a giddy psychic trip down the proverbial rabbit hole. Taking two years to rehearse, compressing the action into a scintillating 75 minutes, here the stage became a dense dream space in which explosive guffaws were matched only by a sinister atmosphere of fear; those present plunged deep down into unconscious horrors. If the madness was exaggerated, if the Mad Hatter really was mad, then it was only to stress the reality of our scarily mad world. A cast of six invited you into Alice’s underground. And like Alice, you had to make a decision whether to stay down in a fantasy world or to come back up again into the everyday “real” world, and live henceforth with new knowledge; the dialogue between actors and audience in Alice represented a quest to gain and live with that new knowledge. Originally performed in a small, bleak converted chapel in Lower Manhattan, only rudimentary props were used. Actors themselves mobilized their own bodies to create a rabbit hole; audiences had to enter via a makeshift rabbit hole; Alice’s sudden size changes weren’t done through fancy special effects but through skillful body manipulation; umbrellas became trees; people croquet balls; actors descending underground literally did fall; legs became rungs on ladders; tables a house; arms a hookah puffed on by a caterpillar who’s really an actor playing a bit role as a mushroom. “Our production concept might be said to be this”, says Gregory (1972: 44): “How could a group of children limited to a padded cell create an entire world…To play the way children play where the imagination and things lying around the house are used to create a concrete world…The essential thing is to use the script as a trampoline for the imagination. While we staged Alice in a ‘invironment’ rather than on stage when we were in New York, we have also played in a Berlin Riding Rink, an abandoned Italian 17th century dungeon, and an onion and garlic packing factory in Persia. In these places the natural invironment, pure ’n’ simple, became wonderful wonderland”. After 1970, Grotowski walked away from the theatre, dropped out, left it behind, entered into a new phase he himself called “post-theatre”—or “paratheatre”. He’d pushed the physical and existential limits of theatre so much that now he crossed the border, strayed over a theoretical threshold, going beyond theatre only in order to enrich theatre. He’d walked away from theatre as a performance, theatre where aesthetic values were paramount, to a collective ritual and spiritual project in which the expression of ethical and moral human values were its aim. He’d pushed and prodded and tried to collapse the actor-spectator breech to such a degree that now each congealed into a new theatrical subject, a participant in life, a so-called “brother” and “sister”, a secular expression of Grotowski’s monastic order, a “natural” paratheatrical performer and participant in a non-verbal group exercise of intercultural communion and communication. Given Grotowski’s existential predilections, his obsessions with removing barriers and obstacles, with removing separations and masks, disguises and defenses, between actors and between actors and audiences, it’s perhaps not so surprising that the final act of elimination was to eliminate the theatre itself: “We noted”, he says (cited in Mennen 1975: 60), “that when we eliminate certain blocks and obstacles what remains is what is most elementary and most simple—what exists between human beings when they have a certain confidence between each other and when they look for an understanding that goes beyond the understanding of words…Precisely at that point one does not perform anymore”. Grotowski coined the idea of “meetings” – I’d like to say “encounters” – which happen when actors and spectators come together, get to know one another, get to know themselves through each other; they learn how to “disarm” themselves step-by-step, how to free themselves “from a fear that divided human beings, how to find the simplest and most elementary relationships” (Grotowski cited in Mennen 1975: 60). What Grotowski’s paratheatrics seems to let us glimpse is the process of solidarity formation. What was once a personal confrontation of an actor, with him or herself, with an audience, now gets transformed into social confrontation: actors and spectators participate as one in a collective performance in which no one is performing and the accepted script of performer, the accepted custom of performing in the dominant culture, gets subverted. The playhouse is nothing other than social life. In this way, paratheatre becomes a sort of radical radicalization of an already radical Poor Theatre, a theatre that could potentially convert any stage into a street, any street into a special dramatic stage; any form of street demo or sit-in or occupation could be taken as a form of paratheatre, a shifting scene of groups of performers and spectators coming together as one great big (or small) confrontational whole, defining their space, producing their space, searching to eliminate barriers between themselves, rejecting the conventional restrictions of knowing one’s place, of passively spectating in somebody else’s life, conditioned by somebody else’s script. Throughout the 1970s, a retreat thirty miles outside the Polish town of Wroclaw became the new staging for Grotowski’s “Laboratorium” paratheatrical projects. Some of the most noted people from the world of experimental theatre—Peter Brook, Joe Chaikin, Eugenio Barba, Luca Ronconi, Jean-Louis Barrault and André Gregory—undertook pilgrimages to Grotowski’s Laboratorium. Nearly every evening came a key element in paratheatrics, the fabled “Beehive”, always announced in advance, always open to all-comers, always led by the participants themselves. In Louis Malle’s 1981 film My Dinner with André, André Gregory gives a compelling summation of his own experiences participating in a Grotowskian Beehive. Gregory himself, like Grotowski, had dropped out of the theatre in the mid-1970s, likewise disillusioned with where the art form was headed; he spent several years traveling the world in search of life’s meaning, in search of some spiritual reawakening. “I had nothing left to teach”, he confessed to friend Wally in My Dinner with André. “I had nothing left to say. I didn’t know anything. I couldn’t teach anything. Exercises meant nothing to me anymore. Working on scenes from plays seemed ridiculous. I didn’t know what to do” (Shawn and Gregory 1981: 22). And yet, at Grotowski’s invitation, Gregory did go to Poland; and he did participate first-hand in a paratheatrical workshop, in a collective improvisation of elementary (and elemental) experiences labeled a Beehive. Instead of playing a role, a character in, say, a Chekhov set-piece, instead of acting on impulse on behalf of your character, now you become the character, Gregory says, now “you have no imaginary situation to hide behind, and you have no other person to hide behind” (Shawn and Gregory 1981: 25). And the theme or the plot is made up of who “we” all are together; the question then becomes how to bring to action this theme—how to find the theme through action, how action is created by impulse, by somebody having an impulse. “In a way”, says Gregory (Shawn and Gregory 1981: 26), “it’s going right back to childhood, where simply a group of children enter a room or are brought into a room, without toys, and they begin to play. Grown-ups were learning how to play again”. Imagine a hundred strangers encountering each other in a room late at night, many of whom don’t speak the same language, can’t communicate through words. A group starts to sing, perhaps singing a beautiful song, and after a while others pick up the rhythm, learn the lyrics, sit in candlelight around a fire, sing together. Suddenly, somebody does something that detonates the scene (in Gregory’s Beehive he flung a teddy bear to Grotowski! ), and soon there’s wild dancing, and drums boom and a magic flute is played; people form two huge circles and join hands and sway in different directions; a collective ritual ensues, punctuated by repetitions, by rhythms, comprising what Gregory describes as a “great human kaleidoscope” (Shawn and Gregory 1981: 31), an evening made up of “shiftings of the kaleidoscope”. The whole Beehive would last for four or five hours, eventually winding down in the early hours of the morning, at daybreak. What was happening here, Gregory thinks, was something to do with living, something about trying to find the truthful impulse, “not to do what you should or ought to do or what is expected of you, but trying to find what it is that you really want to do or need to do or have to do” (Shawn and Gregory 1981: 34). “I think I experienced for the first time”, he says (Shawn and Gregory 1981: 38), “what it means to be truly alive”. What was amazing about these workshops, Gregory concludes, “was how quickly people seemed to fall into enthusiasm, celebration, joy, wonder, abandon, wildness, tenderness. And could we stand to live like that? I mean, maybe we’re just simply afraid of living? (Shawn and Gregory 1981: 110). One entire space, accordingly, becomes a performing space. And yet, nobody is merely watching or performing for somebody else: everybody is creating an event, an invironment, by transforming the relationship between people, by communicating in space, by transforming space, by engaging in a scenic dialogue with a space. In an invironment the “performance” itself engineers and creates the spatial relations, as well as the behavior of every participant; that, in turn, leads to more fluid situations in which the performance itself is somehow controlled by the shifting spatial configuration, by what we might label the total space participants have themselves created. A “total space” literally breathes, breathes through the activity that the space contains, that it prompts and promotes, that it sanctions. Total spaces are the kind of spaces that literally erupt as a street paratheatrical drama, as dramatic street theatre, like in October 1967 beside the Pentagon, like in May 1968 in Paris, like in December 1999 in Seattle, and, of course, like in September 2011 in Zuccotti Park. The efficacy of all paratheatrical street drama will necessarily depend on the performative activity of creating a “total space”, a space in which actors and spectators encounter each other as one: sheer relationships, group rituals, collective rhythms and repetitions will define elemental connections in space, connections between crowds of people and their individual bodies. Separations are overcome, and, for a moment, for an instant, some kind of radical situation is glimpsed. Occupy represents one of the greatest paratheatrical political moments of recent years. All of this isn’t just mass protest against global inequality and financial injustice, against a decadent neoliberal political machine trying to dominate the world; it’s equally an extraordinary act of collective solidarity during an acute crisis of capitalism, a time when people encounter each other as citizens, as individuals participating, performing unselfconsciously, giving themselves wholesale to group practice, creating an absolute (and ephemeral) democracy in Lower Manhattan, in Madrid, in Athens, in Istanbul, in Cairo, in London – and in many places more, even as we speak – creating their very own Beehives in front of Wall Street, in front of assorted government buildings, in prominent public squares, attempting to exorcize these spaces of their private demons, cracking open the nut at the core of our political and economic authority and authoritarianism. All this activism, meanwhile, in its varied forms and diverse participants, affirms the Grotowskian need to abolish social and psychic distance, to eliminate the stage in theatre and in life, to remove all frontiers in its pursuit for an “architecture of action”. Grotowski tried to develop what activists and geographers should now try to develop in their spatial politics: the closeness of the living organism, the magical ingredient that makes social space tick, that gives spaces vitality, that ensures emotional connectivity not simply physical proximity. As such, Grotowski’s Poor Theatre reveals its own specifically geographical counterpart: Poor Space. A Poor Space isn’t to be confused with an impoverished space, just as Poor Theatre isn’t a deprived theatre but a theatre of ascetic riches. Poor Space isn’t image driven, doesn’t create barriers between participants and audiences, doesn’t encourage Debordian spectators; it doesn’t simply lie dormant, isn’t a passive backdrop, inert scenery, adornment equipped with air-conditioning and technological gismos like in rich, mall space, like in rich theatre space, like at the Barbican. Instead, Poor Space tries to create the conditions whereby everybody, in some shape or form, participates in the environment they inhabit, performs without being on stage, without being self-conscious of their performance. In Poor Space, makers and watchers participate as one in the artless art of real life. In Poor Space, form and order are given to spontaneous activity, to new improvisations, precisely because of spatial insideness, precisely because Poor Space stimulates “disciplined” spontaneity, a spontaneity that guards itself against degenerative chaos. This apparently paradoxical principle of “spontaneous ordering” applies to group political space, to “occupied” space. Paratheatrics pushes to the limit the idea of participation and performance in its development of collective ritual, in its great human kaleidoscope in which joy and celebration, wonderment and wildness, tenderness and abandon find structuring, somehow get defined. In occupied paratheatrical space, Poor Space pushes itself onwards towards a Total Space: participants congeal not only as one singular force dialoging with their environment, but as a force that creates its own space. The model says a lot about theatrical street demos, about large group mobilizations and occupations requiring considerable organization and discipline, as well as active (and reactive) spontaneous energy. Any paratheatrical space—as a total space—would galvanize these twin forces of discipline and spontaneity in its group passion, in its intricate ordering, in its human bonding and solidarity. Grotowski said theatre’s social function is to permit an individual ripening, a social evolution, a collective uplifting that enables us to emerge from darkness into a blaze of light. Why shouldn’t radical politics be anything else than letting light blaze on darkness? And why not try to ensure that our spaces blaze with natural light, too? Radical geographers have a special role to play here, as both actors and stage designers, as savvy playwrights who know all about spatial relations and spatial forms, about the difference space makes in any human performance. We also know that streets and public spaces open to theatrical performance can enrich human geography beyond wealth. 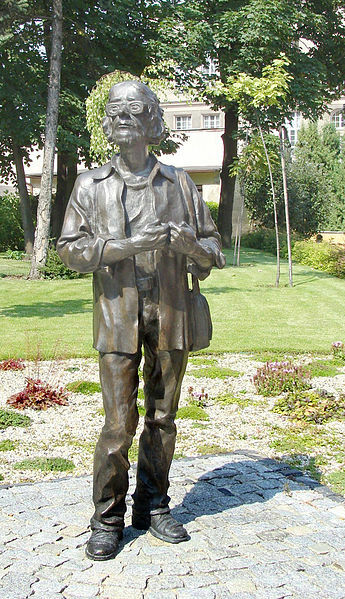 Grotowski’s mystique arises from his style and appearance. One time he was fat and wore black business suits and a black tie; trademark black sunglasses only added to his air of detachment. Then he suddenly became very thin, rapidly losing over 80lbs, doing away with the sunglasses and sporting a wispy beard and long hair. Donned in an open-necked shirt and denim jacket, he looked, as Richard Schechner (1999: 8) once said, “like a cross between a hippie and a martial arts master”. Some of the anarchy and slapstick of this ephemeral theatrical moment is captured for posterity by Richard Avedon’s photographs, assembled in the delightful Alice in Wonderland: The Forming of a Company and the Making of a Play (see Arbus 1973). In it, Director Gregory talks frankly about Grotowski’s influence. Grotowski also felt people were now performing so well in their own lives that performance in the theatre was pretty much superfluous, even obscene. My Dinner with André has since become a cult classic with its interplay over dinner of two old theatre acquaintances, Wallace Shawn and André Gregory, each playing themselves, each embodying personal and philosophical disparities in their approach to life as well as to theatre. The film is a touching virtuosic colloquy, perhaps the most profound culinary dialogue since Plato’s Symposium. Andy Merrifield’s most recent book is The Politics of the Encounter: Urban Theory and Protest Under Planetary Urbanization (University of Georgia Press, 2013). His The New Urban Question comes out next year from Pluto Press. As Richa Nagar sees it, people’s theatre can be a process of ‘coming together’ to promote alternatives, “[c]laiming space, finding voice, gaining visibility, discovering power”. Her paper offers a comparative analysis of a number of performances and how each “appropriates, complicates, or reinforces the interwoven patriarchal concepts of public and private on the one hand, and femininity and masculinity on the other”. This new essay explores “questions of narration and the bracketing of information…the labour of producing meanings and texts…” through activist theatrical performances. Similarly, Donna Houston and Laura Pulido consider “the power of performativity as a socially transformative, imaginative, and collective political engagement that works simultaneously as a space of social critique and as a space for creating social change”. This paper casts light on not just the potential but the problems of performance, reflecting on the limits to and pressures on writers, actors and audiences. In another frank essay, Gerry Pratt and Caleb Johnston are “interested in theatre as a means of doing research…a means of or method for bringing experiences into words…”. Pratt and Johnston’s project continues here: “We have been drawn to theatre to explore the ways that it might enable audience members to think and feel about their world differently, to temporarily suspend judgment, and extend the terms of political discussion in productive ways”. They examine how theatre might “function as a site where we can model (and not just profess) more vulnerable and egalitarian political debate”. Finally, in this soon-to-be-published piece, Johnston works with playwright Dakxin Bajrange to think through the generation of “a critical public sphere…a space for democratic encounter…”. They argue that street theatre can become a space for thinking and feeling differently; somewhere ‘liminal’, a ‘safe space’ in which to make proximate things too often beyond the pale, that which is not seen, not heard. 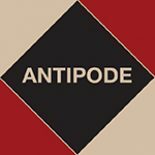 Andy Merrifield on the Antipode blog on paratheatrical space. This entry was posted on 18 October 2013 by Antipode Editorial Office in Interventions and tagged acting, Debord, encounter, Houston, invironment, Jerzy Grotowski, Johnston, Lefebvre, Nagar, narration, occupy, paratheatre, people's theatre, performance, performativity, play, politics of encounter, Poor Space, Poor Theatre, post-theatre, Pratt, protest, radical politics, Ranciere, Rich Theatre, Sartre, solidarity, street theatre, testimony, theatre, women's theatre.